We use the most advanced procedures to help you obtain 20/20+ vision. Our Doctors conducts comprehensive eye examinations for adults & children using highly specialized technology. We carry an extensive collection of designer frames, including Silhouette, Oakley, RayBan and Prada. We evaluate, fit and prescribe contact lenses for all ages. "Constantly Striving to Have the Best Frame Selection in All of Tarrant County"
Our location in Arlington, Texas, is committed to providing our customers with an excellent shopping experience and high quality products and service with the best value and selection in the industry. Our Arlington office opened its doors in 2002. 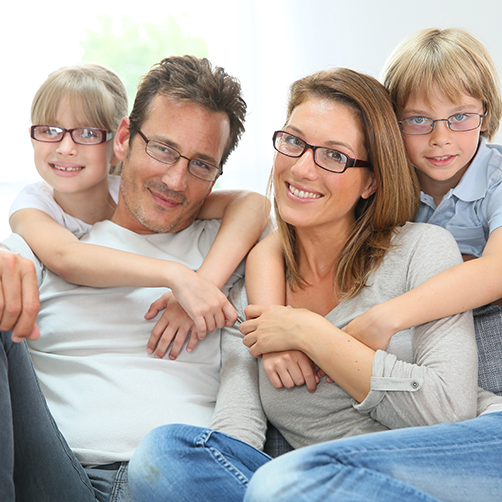 We pride ourselves in serving your family's complete vision needs and our staff of licensed opticians and optometrists are dedicated to providing comprehensive, friendly and compassionate eye care. Our full-range of vision care services includes comprehensive medical eye examinations, contact lens examinations and fittings and the finest and most unique styles of designer eyewear. Our friendly, professional staff will discuss how different contact lens selections and frame styles can impact your vision. We will answer any questions you might have and supply you with the most up-to-date information regarding all aspects of your vision and eye health. Our greatest satisfaction comes from improving your vision and enhancing your quality of life. For your convenience, our office in Arlington is open seven days a week. Eye examinations are available by appointment for your convenience. At Vision City® of Arlington and Watauga, we carry a large collection of high end designer frames to suit every style and budget. 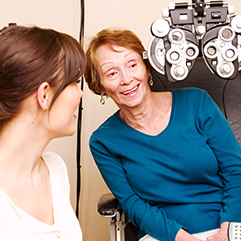 We provide all diagnostic and treatment options for glaucoma care. 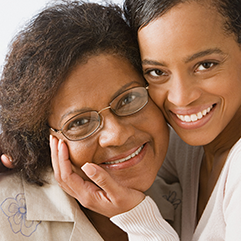 Macular degeneration is a chronic eye disease that can severely impact vision. Yearly Eye examinations are an invaluable tool in maintaining healthy eyes by detecting and preventing disease in both adults and children. Type in your zip code for directions. Have a question for us? Fill out the form below and we will be in touch with you shortly.